From 2-4 April, AITF 2015, the 14th Azerbaijan international travel and tourism exhibition will take place at Baku Expo Center. 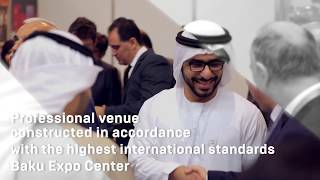 AITF has secured its status as a leading international exhibition, reflecting the overall image of the modern tourism market in the region and presenting the local flavours of different areas of the world. Over the last few years, Ilham Aliyev, the President of the Republic of Azerbaijan has been visited the exhibition, emphasising the importance of the exhibition for the industry. Since its inception, AITF has been supported by the Ministry of Culture and Tourism of the Republic of Azerbaijan. The exhibition is also supported by the World Tourism Organisation (UNWTO), the Azerbaijan Tourism Association (AzTa) and the International Tourism Trade Fairs Association (ITTFA). The organisers of the exhibition are Iteca Caspian and its partner company ITE Group. Opening in the run-up to the summer season, for 3 days AITF will act as the key platform for negotiations, meetings, and exchanging opinions and proposals for the tourism sphere. Over 300 companies from 37 countries will present their exclusive offers for 70 holiday destinations. Among them will be tour operators, national tourism organisations, hotel chains, sanatoriums, holiday resorts, health and spa centres, and sport and eco-friendly tourist facilities. Islamic hotels will be presented for the first time at the exhibition. 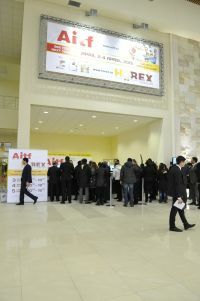 There will be national stands from 18 countries including Azerbaijan’s closest neighbours – Turkey, Iran and Georgia, as well as Argentina, Bulgaria, the Dominican Republic, India, Malaysia, Morocco, the UAE, Slovenia, and Thailand. The Maldives will also appear for the first time with their national stand. The Azerbaijan Tourism Association (AzTa) will offer a variety of different packages from local tour operators at their stand. Significantly expanding their space at the exhibition this year, AzTa will bring together leading hotels and tour agencies from all over Azerbaijan that work with domestic and inbound tourism. In addition, Azerbaijan’s tourism potential will be demonstrated at the vibrant stands of the country’s regions: Sumqayit, the Nakhchivan Autonomous Republic, Zaqatala, Masalli, Ismailli, Khachmaz, Ganja and other towns and regions of Azerbaijan. This year, the number of exhibitors has increased significantly, offering destinations for medical tourism. Medical centres, health resorts and sanatoriums from Azerbaijan, Germany, the Czech Republic, Lithuania, Russia, Slovenia, Hungary and Turkey will present the latest achievements in the fields of medical, health and spa tourism. Large specialist organizations from Lithuania and Turkey, including the Lithuanian Medical Tourism Cluster – LITCARE, will introduce medical centres such as the Northway Medical Centre and UAB SK Imeks Meditinos, Med LT, the well-known TURSAB travel and medical association will also be participating in the exhibition.The recently formed Azerbaijan Health & Thermal Tourism Association will offer Azerbaijani health centres such as Chinar SPA Naftalan, Duzdaq Otel, and Naftalan Hotel by Rixos. In recent years, AITF has actively developed the Real Estate Abroad section, reflecting the growing demand among Azerbaijani citizens for property in popular resort areas. This year, AITF will feature companies providing real estate services in Turkey, Bulgaria, the UK, the UAE, and the Czech Republic. Alongside AITF 2015, Horex Caucasus 2015, the 9th Caucasian international hospitality exhibition, the only exhibition specialising in the hotel and restaurant business in the region will take place. Companies will present modern trends and new technologies to provide high-level tourism services. In addition, CIBS 2015, the 2nd Caspian international exhibition on boats and yachts, will also take place in parallel with AITF. Providing a unique opportunity for professional networking between exhibitors and visitors, the exhibition will help them adopt international expertise and establish useful contacts. At the same time, the exhibition will showcase the rich tourism potential of Azerbaijan helping to promote the country as a vibrant tourist destination. To improve communication at the exhibition, the organisers are launching a new service – matchmaking. Tour operators, tourism agencies, representatives from airlines, hotel chains, international estate agencies, and clinics can now book business meetings with exhibitors in advance. The matchmaking programme will help save time, open up additional opportunities for tourism industry professionals in advance, efficiently plan work at the exhibition, meet potential partners and clients, and establish new contacts and strengthen existing ones. AITF 2015 will open from 2-4 April for all professionals. On 4 April, the exhibition will open its doors for all travel enthusiasts.